The elections for the Constituent Assembly have just taken place here. The polling was very high. Every man and woman votes all over this vast territory, even the Lapp in Siberia and the Tartar of Central Asia. Russia is now the greatest and most democratic country in the world. There are several women candidates for the Constituent Assembly and some are said to have a good chance of election. The one thing that troubles us all and hangs like a cloud over our heads is the fear of famine. Interest in the negotiations commenced yesterday with the Central Powers for a long armistice is overshadowed by the conflict between the Soviet and the Constituent Assembly. The result of the elections for the Constituent Assembly can now be roughly estimated. The small middle-class electors, frightened by Bolshevik terrorism, voted for the large capitalists and the Cadet Party; the urban proletariat and the army and navy went solidly with the Bolsheviks; the poorer peasants of the central provinces supported the Left Socialist Revolutionaries, who are in alliance with the Bolsheviks and have representatives in the Revolutionary Government. Between these extremes comes the Centre group of the old Socialist Revolutionary Party (Right SRs) which has received the votes of the more well-to-do peasantry of the southern and eastern provinces. These three groups will probably be evenly divided in strength in the Constituent Assembly. Authority will therefore rest with the group which can secure the support of the Centre Party. The leaders of this party, like Chernov, however, are discredited in the army and navy and the urban proletariat on account of their contact with the late Provisional Government, and are accused of having sold the Russian Revolution to the Allied Imperialists. On the other hand, this Centre Party still has a considerable influence among the peasantry and the recently opened Peasant Congress of All Russia showed they had about 35 per cent of all the delegates. This wholesome brake upon the Bolshevik extremists is evidently frightening the latter, but instead of having a sobering effect it is making them increase the policy of terrorism. The Cadet members of the Constituent Assembly are being arrested and thrown into the St Peter and St Paul Fortress immediately they arrive in Petrograd from the provinces. The apparent object of this is to terrorise all possible opposition to a dictatorship of the proletariat in the Constituent Assembly when the latter commences. Articles appear in the official Bolshevik organs every day to the effect that the only function of the Constituent Assembly is to serve the will of the proletariat. Even the Left Socialist Revolutionary leaders, who are acting as a brake upon the hot-headed Bolsheviks, say that in transition periods of social reconstruction like the present, authority must rest with the class that made the Revolution. On the other hand they protest against the arrest of Cadets and try to secure the inviolability of members of the Constituent Assembly. But this moderate wing of the Revolutionary Government is powerless to check the mad career of the Anarcho-Syndicalist dictators, who are relying on the bayonets of the army and navy. The soldiers and sailors, both at the front and in the rear, are so embittered by the experiences of the last eight months that they see a dictatorship as the sole form of government which will put an end to the war and crush the capitalist class - which they say made the war - under an iron heel. But they little heed the dangerous precedent which this policy creates. Thus the country becomes every day more sharply divided into two camps - the classes and the masses - and the position of the Moderate Centre, relying on the peasant, becomes increasingly difficult. Under these circumstances Parliamentary Government becomes an impossibility, and the authority of the Constituent Assembly, which will only reflect these bitter dissensions in a concentrated form, is likely to be small. The soldiers, sailors and workers regard their syndicates or soviets as the sole authority which they will respect, and as long as they have armed forces at their disposal this reign of terror is likely to continue. It is a terrible lesson in what happens when a people, tortured by three years of war, turn on the ruling classes who have exploited and tormented them. In accordance with custom, the parliament was opened by the oldest deputy. 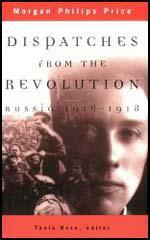 From the Socialist Revolutionary benches rose Shvetzov, a veteran of the People's Will. As he mounted the platform, Bolshevik deputies began slamming their desks while soldiers and sailors pounded the floor with their rifles. Shvetzov finally found a lull in the noise to say: "The meeting of the Constituent Assembly is opened." An outburst of catcalls greeted his words. Sverdlov then mounted the platform, pushed the old man aside, and declared in his loud, rich voice that the Central Executive Committee of the Soviet of workers', Soldiers' and Peasants' Deputies had empowered him to open the meeting of the Constituent Assembly. Then on behalf of the committee he read the "Declaration of Rights of the Labouring and Exploited Masses", written by Lenin, Stalin and Bukharin. The declaration demanded that all state power be vested in the Soviets, thereby destroying the very meaning of the Constituent Assembly. We have already taken steps towards international peace among the working classes, and given land to the peasantry through our soviets, while you spent six months betraying the Revolution to the Cadets. Therefore the only authority that can have the confidence of the proletariat and the peasants is that of the soviet, and the Constituent Assembly can only exist if it recognises proletariat dictatorship and the removal of all the propertied classes from political rights. The Constituent Assembly elected by the whole country should be the highest authority in the land; then why send it an ultimatum? Has civil war helped the soviet to realise the revolutionary programme? On the contrary it assists the German militarists to divide the revolutionary front, which should be national, not class. The break-up of the Constituent Assembly will only serve the interest of the bourgeoisie, whom the Bolsheviks profess to be fighting. It alone can save the Revolution. The Constituent Assembly, which opened yesterday, showed itself the focus point of the class struggle going on in Russia. One side, representing the small bourgeoisie, the intelligentsia, the well-to-do peasantry and the national groups, stood on a national democratic position; the other side, representing the proletariat and the poorer peasantry, stood on the class position. Conspicuous by its absence was the capitalist Cadet Party, squeezed out of existence by recent events. By the irony of fate the erstwhile inspirer of the Zimmerwald Conference, Victor Chernov, now defends, as leader of the Centre Socialist Revolutionary Party (Right SRs), the Russian national democratic standpoint against the international class position of the Bolsheviks... A similar situation would be created in England if the Conservatives and Liberal Imperialists ceased to exist and the Radicals and the Labour Party were defending the national idea of British democracy against the Independent Labour Party and the British Socialist Party, standing for the dictatorship of the Trade Union Congress and the international Parliament of labour. From various quarters of the town processions, carrying red flags with inscriptions for the Constituent, marched towards the centre and one by one were fired on and dispersed by Red guards and sailors. Barricades were erected near the Taurida Palace, sailors and Red Guards were stationed in convenient courtyards: all the methods so familiar under the old regime were brought into play. Most of the shooting took place on the Liteiny Prospect. The number of killed and wounded apparently was not large, considering the amount of ammunition expended. Among those killed and wounded were several workmen and students and one member of the Constituent, the peasant Loginov. Indignation is intense. When the Assembly was opened the galleries were crowded, mostly with Bolshevik supporters. Sailors and Red Guards, with their bayonets hanging at various angles, stood on the floor of the House. To right and left of the Speaker's tribune sat the People's Commissars and their assistants. Lenin was there, bald, red-bearded, short and rather stout. He was apparently in good spirits, and chattered merrily with Krylenko (Commander-in-Chief of the Army). There were Lunacharsky and Mme Kollontai, and a number of dark young men who now stand at the head of the various Government departments and devise schemes for the imposition of unalloyed Socialism on Russia. After a long wait an SR proposed that the senior deputy, Shvetsov, should open the proceedings. The Bolsheviks in the House and galleries raised a howl of indignation, banged the desks, and with whistles and catcalls accompanied the slow, heavy tread of an elderly gentleman with long hair towards the tribune. Shvetsov rang the bell, but the din continued. 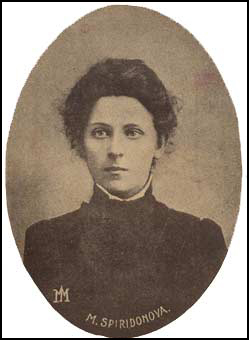 The Bolsheviks shook their fists, several rushed towards the tribune, two or three young men in uniform put their hands on Shvetsov, and the brawl only ceased when, after the appearance on the scene of Sverdlov, president of the Executive Committee of the Bolshevik Soviet, the old gentleman retired. 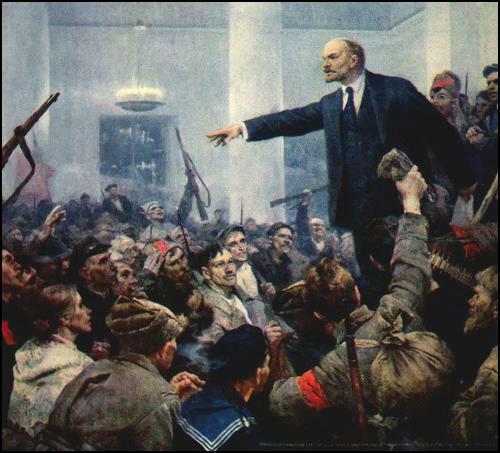 The immediate calling of the Constituent Assembly had been one of Lenin's main slogans from April to November 1917. One of the most serious charges made against the Provisional Government by Lenin, Trotsky, Stalin and the entire Bolshevik Press was that it did not intend to hold elections for this legislative body. Time and again Lenin had promised that when the Bolsheviks took power the Assembly would be speedily convened. On 5 November 1917, two days before the Bolshevik coup, Stalin wrote in Pravda: "Having overthrown the Tsar, the people thought that within two or three months the Constituent Assembly would be summoned. But the convocation of the Constituent Assembly has already been postponed once and its foes are preparing for its final destruction. Why? Because in power sit enemies of the people, for whom the timely convocation of the Constituent Assembly is not profitable." The Bolshevik pledge was plain enough. But the Bolshevik leaders were well aware that the elections, scheduled by the Provisional Government for 25 November, would not give them control of the Constituent Assembly. On the other hand, after having taken power they could not flatly repudiate their promise. "On the very first day, if not the first hour of the Revolution," relates Trotsky, "Lenin brought up the question of the Constituent Assembly. "We must postpone the elections. We must extend the right of suffrage to those who have reached their maturity (eighteen years). We must outlaw the adherents of Kornilov and the Cadets", said Lenin. "We tried to argue with him that it would not look right. We ourselves had accused the Provisional Government of delaying the elections to the Constituent Assembly. "Nonsense," Lenin replied. "It is facts that are important, not words." Despite considerable Bolshevik coercion, the election results were even worse than Lenin had expected. In the overwhelming majority of electoral districts. 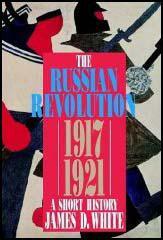 the elections were held on 25 November 1917 - more than a fortnight after the Bolshevik seizure of power. In other districts, the voting took place on 1 and 7 December. Nevertheless, in a total vote of 41,686,000, the Bolsheviks received only 9,844,000 - less than 25 per cent of the electorate. The Socialist Revolutionaries received 17,490,000; Ukrainian Socialist parties (mostly allied with the Socialist Revolutionaries) 4,957,000; Mensheviks 1,248,000; Constitutional Democrats 1,986,000; candidates of Moslem parties and other national minorities some 3,300,000. Of 707 deputies, the Socialist Revolutionaries elected 370, a clear majority; the Bolsheviks only 175; the pro-Lenin Left Socialist Revolutionaries 40; Cadets 17, Mensheviks 16, national minority groups and others 99. The Russian people, in the freest election in their history, voted for moderate democratic socialism against Lenin and against the bourgeoisie. From the standpoint of Soviet public relations, no more disastrous result was possible. A "reactionary" victory would have been easier to handle. But Lenin was prepared, even for this. On 10 December 1917, the Bolsheviks arrested Pavel Dolgorukov, Fyodor Kokoshkin and Andrey Shingarev, Cadet deputies to the Constituent Assembly. Three days later, they issued a decree proclaiming Cadet leaders "enemies of the people", subject to arrest and trial by revolutionary tribunals. The decree nevertheless concluded with the statement that `the country can be saved only by a Constituent Assembly made up of representatives of the labouring and exploited classes of the people". In spite of this assurance, a few days later the Bolsheviks arrested a number of prominent Socialist Revolutionaries who had been elected to the Constituent Assembly. These included Nicolai Avksentvev, chairman of the All-Russian Soviet of Peasant Deputies, Andrey Argunov, Alexander Gukovsky, Pitirim Sorokin and others. Many other Socialist leaders escaped arrest only by going into hiding. (10) In his book My Reminiscences of the Russian Revolution (1969), Morgan Philips Price, described a speech made by Irakli Tsereteli when the Bolsheviks were threatening to close down the Constituent Assembly. In this swan-song apology for the history of the previous eight months, Tsereteli was the same as ever - thoughtful, unemotional, philosophic, calm, like some Zeus from Olympus, contemplating the conflicts of the lesser gods. "The Constituent Assembly," he said, "elected democratically by the whole country, should be the highest authority in the land. If this is so, then why should an ultimatum be sent to it by the Central Soviet Executive? Such an ultimatum can only mean the intensification of civil war. Will this help to realize Socialism?" On the contrary, it will only assist the German militarists to divide the revolutionary front. The break-up of the Constituent Assembly will only serve the interests of the bourgeoisie, whom you (the Bolsheviks) profess to be fighting. The Assembly alone can save the Revolution. (11) Bessie Beatty was in the Constituent Assembly when it was closed down in January, 1918. "Why should we wait?" We should arrest all! We should kill the counter-revolutionist Chernov!" came in angry murmurs from factory workers and soldiers. The delegates looked from one to another. Some one moved a resolution to adjourn until five that afternoon. It was promptly adopted. The murmurs of "Counter-revolutionist!" grew louder and louder. The soldiers and sailors flocked down the stairs, and crowded round the delegates. Some of the Bolshevik members who had remained in the ballroom surrounded Chernov, and took him in safety through the hostile throng to the gate. The Constituent Assembly is a stage in the process of the education of the labouring masses to political consciousness and not an end in itself. When that stage is passed the Constituent Assembly as an institution becomes obsolete. In Russia we have passed quickly through this stage because the growth of class consciousness in the exploited masses has developed with remarkable rapidity. The war, started by the exploiters, has brought untold suffering and enabled the masses, who otherwise would have had to pass through a long schooling in Parliamentary Government, to realise immediately the significance of their class position. What would in normal times have been done by the Constituent Assembly has now been done by the sufferings caused by the war. In all Parliaments there are two elements: exploiters and exploited; the former always manage to maintain class privileges by manoeuvres and compromise. Therefore the Constituent Assembly represents a stage of class coalition. In the next stage of political consciousness the exploited class realises that only a class institution and not general national institutions can break the power of the exploiters. The soviet, therefore, represents a higher form of political development than the Constituent Assembly. We are passing through chaos and suffering to a new social order in which political power will be concentrated in the hands of the exploited masses. The soviets, the organs of the exploited masses, becomes dictators, removing the exploiting elements of the community, absorbing them into the fibre of the new political system. In his first weeks Lenin did not yet feel himself strong enough to renege on the most conspicuous of his pledges. The balloting began on November 25, and continued until December 9. Despite the prevailing disorders and confusion, thirty-six million cast their secret ballots in parts of the country normal enough to hold elections. In most of the large centers of population, the voting was conducted under Bolshevik auspices. Lenin had no doubt that if the elected parliament survived, his imposed regime would not. He had riot expected to win a majority and never had any intention of allowing such a democratic institution to sink roots. Already unsure of the allegiance of locally based troops, he had imported a division of Lettish sharpshooters as military insurance. The assembly was scheduled to meet in the old Duma Building, the Tauride Palace, in Petrograd on the afternoon of January 18, 1918. That morning massive columns of unarmed workers and peasants marched toward the center of the city with banners hailing the parliament and proclaiming their faith in democracy. Thousands more joined up, in a jubilant spirit, as the parade proceeded. But when the procession approached Tauride Palace, its path was blocked by the sharpshooters, who opened fire without warning. About a hundred of the peaceful demonstrators were killed, hundreds were wounded, the rest fled in panic. Despite this sanguinary prelude, the deputies from all over Russia gathered for their first-and last-meeting. Victor Chernov, of the majority Social Revolutionary party, was elected chairman. Except for the communist members, and perhaps even for many of them, it was a solemn historical moment. The Constituent Assembly was the embodiment of a vision that had been Russia's for a century. But they found the galleries and the aisles filled by noisy, drunken, jeering crowds-admission tickets had been issued solely by Lenin's soldiers. The "guests" shouted down the delegates, intruded on the platform, and subsided only when Bolsheviks rose to speak. Others had to struggle against a raucous, whistling, foul-mouthed mob. Lenin lolled on the stairs leading to the platform, sneering and jeering and egging on his unruly bully boys. Fighting the turbulence at every step, the democratic majority managed to debate and adopt a number of cardinal resolutions. The most important provided far-reaching agrarian reforms, under which the land would be distributed to those who worked it. When the session adjourned toward dawn, everyone knew it would never reopen. The first and last genuine expression of the people's will after the revolution was suppressed in cynicism and violence. The more optimistic deputies, returning to the Tauride Palace the next day, found its doors locked and sealed. The fate of the Revolution, too, was sealed. No one who respects fact could ever again claim that the regime had been approved by the masses. In an eloquent indictment of the "handful of madmen" who had murdered the elected assembly, Gorki wrote a fitting epithet: "Yesterday the streets of Petrograd and Moscow resounded with shouts of "Long live the Constituent Assembly!" For giving vent to these sentiments the peaceful paraders were shot down by the "People's Government." On January 19, the Constituent Assembly expired - until the advent of happier days - its death foreboding new sufferings for the martyred country and for the masses of the people." The maddest of the madmen was merely amused by such rhetoric. He valued a Lettish rifleman above all the intellectual humanitarians put together. To associates who complained in the name of Russia, Lenin said: "I spit on Russia. ... This is merely one phase through which we must pass on the way to a world revolution." Russia, in other words, was expendable, a battered beachhead in a war for world dominion. The Bolsheviks do not profess to encourage any illusions as to their real nature. They treat the bourgeoisie of all countries with equal contempt; they glory in all violence directed against the ruling classes, they despise laws and decencies that they consider effete, they trample on the arts and refinements of life. It is nothing to them if in the throes of the great upheaval the world relapses into barbarism.